One of two events in and around downtown L.A. on Saturday March 16, the march went on Alvarado Street near MacArthur Park and then on 7th. There appeared to be at least 50 people, many of whom went into the busy street. This was part of a day of international solidarity with Venezuela, the target of yet another U.S. coup, following the standard patterns implemented against other countries countless times—except maybe more blatant than in earlier decades. And, of course, most media outlets and politicians act like they don’t notice the pattern. The rally portion included leafleting to passersby. The second event was at Pershing Square later that day. “. . .The division that the corporate media folks were constantly harping on wasn't anywhere visible. There weren't any obvious Farrakhan supporters anywhere evident nor anyone openly citing their opposition to him. . . .
“. 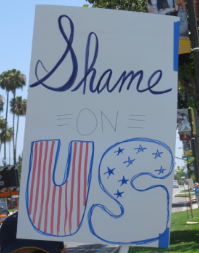 . . As far as the signage was concerned it was mostly homemade and tended towards citing the inadequacies of the 45th president and his policies. The Pandora's box the President had unleashed with his classless profanities were still being stridently reflected back at him,Loud and Clear. “One can only wonder what our great grandmothers would have made of the new rhetoric. “. . . Trans women were lightly represented in the crowd but heavily supported by the speeches from the stage. And as those rhetorical flourishes were spoken the crowd roared again and again in favor of full inclusiveness. 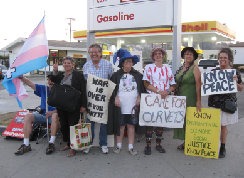 They also spoke of the high murder rate against trans women worldwide. A discussion about environment, feminism, homosexuality, and our rotten culture as represented in the movie. SPOILER ALERT!!!! We encourage you to read this after you've seen the movie. 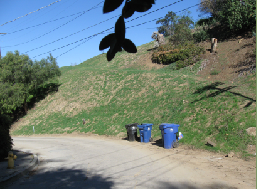 The destruction of a hill in Echo Park would make way for four three-story homes. 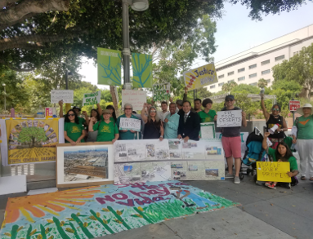 Both PLUM and City Council approved the project despite failure to meet all CEQA requirements (i.e., a threatened species, the black walnut tree, is on the premises) and objections of some 50 neighbors. Instead, a developer in San Jose, California is being favored. 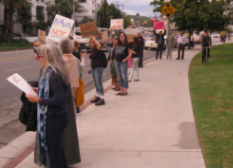 The land in question has long been known by the community as Kite Hill and has been valued as one of the few remaining undeveloped spaces left in Los Angeles. Red tail hawks frequent the area often, and one neighbor saw the mountain lion P-22 there. The case is expected to be heard in court in a few months. Meanwhile, the developer could choose to start demolition of the hill at any time depending on how confident he feels of the legal outcome. It's been a year since women in America enraged by the rhetoric and appalled at the threats of the coming Donald Trump administration gathered by the millions throughout cities and towns across these United States. They exercised their constitutional rights personally in overwhelming numbers at the First Women's March. So, here we are again on the streets of America one year later, in the streets of Downtown Los Angeles, California for The Second Women's March. 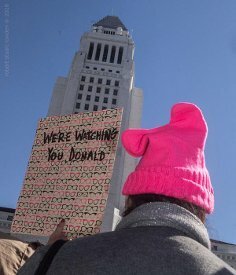 More pix and coverage: Women's March L.A., 2018 by R.P. 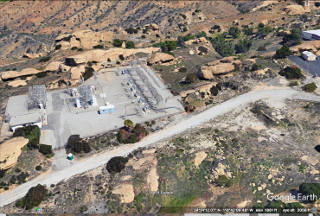 David Braun of Californians Against Fracking and the Rootskeeper said, "I think it's notable that 20 million pounds of hydrochloric acid and 10 million pounds of hydrofluoric acid were used in Los Angeles County in a 3 year period in oil extraction operations." California is the nation's "green leader" and Governor Jerry Brown is the country's "greenest governor," right? That is the narrative promulgated by state officials, public relations experts and writers who gush about the Governor's frequent speeches at international climate conferences. The reality on the ground here in California is much, much different. 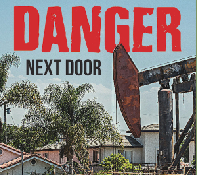 In fact, California is the third biggest oil producing state in the country and Big Oil is the largest corporate lobby, dominating the Governor's Office, the Legislature and the regulatory agencies. 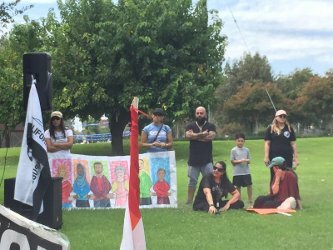 The organizers of the event, activists with the Defend Movement, had originally planned their action in response to a plan by the extreme right to hold an "America First" rally in Upland in coordination with the ACT for America nationwide day of action. The "American Congress for Truth" is the nation's largest Islamophobic group. Defend was supported by the faith-based Rise Against the Wall, which roots its anti-Trump activism in Christianity. Both are new groups that formed in the wake of the rise of Trumpism. When the national organization decided to cancel all public actions for the day and to hold instead an "online day of ACTion," the Upland rally was also canceled. 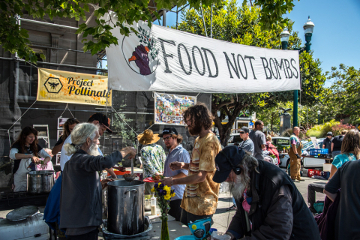 Other factors--namely, the inability of organizers to obtain a permit and the threat of a counter demonstration, liked served as further persuasion. 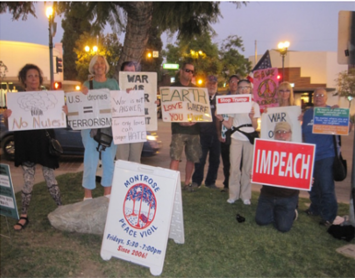 Despite the cancellation of the ACT rally, the Defend Movement opted to proceed with their rally, which they dubbed "United4Love2," having previously "United for Love" in Yucaipa in response to a similar rally planned by the extreme right there. Linksunten.indymedia.org, the main independent media website in Germany, was banned by the German government's Ministry of Interior on August 25. Maintaining the website and using its logo are now considered criminal offenses in the country. 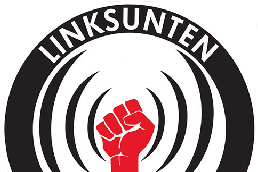 Linksunten volunteers are also being prosecuted as a "club," which means that administrators are considered responsible for everything that has been published. Administrators are also being accused of being members of a terrorist association. This represents a new step in the repression in Europe. The last time something of this significance occurred was in 1995, when the German central power banned the newspaper "Radikal", which sparked demonstrations all over the country. 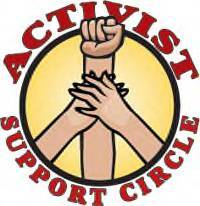 The monthly Activist Support Circle in Santa Monica featured as its guest author Pat Thomas, whose book, "Did It! 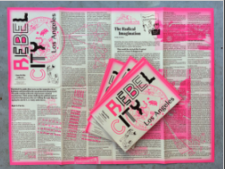 From YIPPIE to YUPPIE: Jerry Rubin, an American Revolutionary," comes out September 5. Our discussion delved into Rubin's entire life from childhood, to involvement in the Free Speech Movement in Berkeley, to co-founding the yippies, to his involvement with John Lennon, to his relationship with Abbie Hoffman, to his work at a brokerage firm on Wall Street (it's not widely known that he was selling solar technology in the early '80s). In this bilingual play, recently performed at Debs Park, Alicia travels into the Arroyo Seco's past to help her deal with the present. 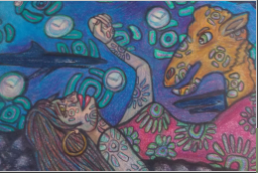 Representing the past are the spirit of Toypurina (who in the 1780s instigated a revolt against the San Gabriel Mission) who's Alicia's guide (she and Alicia are pictured at left) and Charles Lummis, who shares his dreams about the future of the area. The play's setting on hiking trails surrounded by mostly native plants also imparts the Arroyo's past. Arroyoland also consists of Lewis Carroll-inspired characters (although in this case Humpty Dumpty sitting on his wall resembles Trump, and Bill the Lizard comes out as homosexual). Story and photos: Alicia in Arroyoland by R.P.